Below are miscellaneous documents/books of genealogical and/or historical interest. 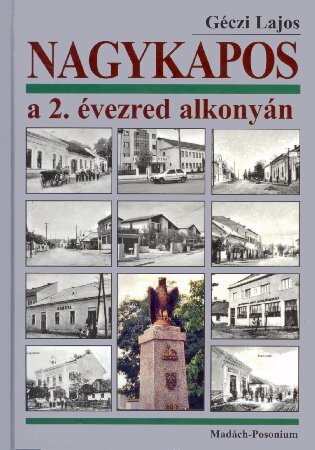 Book: "NAGYKAPOS a. 2 évezred alkonyán"
Following are towns and villages listed alphabetically by country—some with a web site on JewishGen—which may assist you in your genealogical research. NOTE: Clicking a button or a link will open a new page. Below are miscellaneous links of genealogical and/or historical interest. Always check the various JewishGen databases, as new records are constantly being added. If you find a link of interest to all or if you find a broken link, click HERE to contact me. NOTE: Clicking a button or link will open a new page.